It is with a sad and heavy heart we announce the tragic loss of two members of the Metko family. Fatos Metko (aged 45) and his son Fioralb Metko (aged 14) died tragically in a fatal car accident on August 19th 2018 just north of Sault Ste. Marie as they were en route to relocate from Alberta to Waterloo, ON to be closer with family. The mother (Maralba) is currently in critical condition, we pray for a speedy recovery; the daughter (10 years old) thankfully survived. We ask for support for this beautiful family in this extremely unfortunate and difficult time. We ask the community to donate if they can and please share this fundraiser. All proceeds will be going towards covering funeral costs and the daughters education. Thank you for your help and support. Me dhimbje ju percjellim tragjedin e familjes METKO (Kodras, Kolonje) me banim ne Kanada. Humbin jeten ne nje aksident tragjik, Fatos Metko (45 vjet) dhe djali Fioralb Metko (14 vjet). Bashkeshortja, Maralba Metko ndodhet ne gjendje kritike per jeten. Vajza eshte mire fatmiresisht. Lutemi per Maralben, per sherim te shpejt. U prefshi ne paqe Fatos dhe Fioralb. I LUTEMI KOMUNITETIT SHQIPTAR NESE MUND TE DONOJN ME SA TE MUNDEN NE NDIHME TE FAMILJES METKO NE KETE SITUATE TEPER TE VESHTIRE. Fondet do te perrdoren per sherbime funerale dhe per shkollimin e vajzes. Faleminderit per ndihmen. 1. Who are you: Reshat Ago. Close family friends of the Metko family. 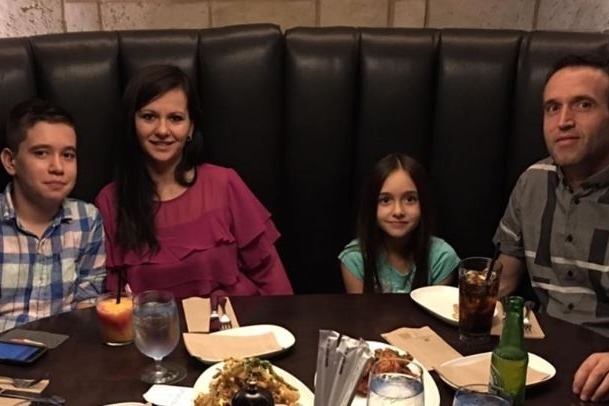 With the assistance of my son and daughter (Arber and Ina), who have experience with using gofundme, we have established this fundraiser on behalf of and to support the Metko family in their time of need. 2. We are from Brantford, Ontario. 3. Relationship to the Metko family: Distant cousins and long time family friends. 4. How the funds will be used: 1) Cover funeral costs for Fatos and Fioralb Metko 2) Remaining funds will support Maralba and her daughters living expenses, relocation expenses, and daughter's schooling. 5. Disbursement of funds: Funds will be disbursed to next of kin, Edmond Metko (brother of Fatos). He will begin covering expenses. Once Maralba awakes from coma, Edmond will transfer the remaining funds to her to administer. Hello all friends and family, thank you very much for all of the donations and support you have given in helping with the Metko Family fundraiser. We were able to raise a big contribution which has now been received and given to the Metko's. We will continue to keep the fundraiser running for anyone else who may want to donate and help. We are so happy and relieved that Maralba is getting better as she continues receives treatment in London, ON. Thank you once again. Pershendetje, mirenjohje dhe shume falenderime te gjithe donatoreve ne emer te fam.METKO.Ne respekt te kontributit te tyre njoftojme se shuma e ndihmes eshte percjelle tek fam. Metko. Ne do ta mbajme kete fushate ndihme dhe pake kohe,nese dikush tjeter do te mund te ndihmoje fam. Metko.Ndjehemi te lumtur qe Maralba eshte duke u bere mire. Falenderime serish,donatoreve,shokeve dhe miqeve. Ne emer te familjes Metko pershendes dhe falenderoj te gjithe donatoret per ndihmen dhe mbeshtetjen.Ne respekt te tyre bej me dije se MARALBA eshte jashte rrezikut per jeten.Ajo vazhdon te permiresohet nen trajtimin intensiv te personelt mjekesor ne London,Onatario.Prinderit dhe vellai erdhen nga Shqiperia dhe jane prane saj.BRIANA eshte liruar nga spitali dhe shume shpejt do te filloje shkollen ne USA nen kujdesin e xhaxhait dhe hallos. On behalf of the Metko family we would like to thank everyone for all of their support and donations in helping them during this difficult time. We are happy to say that MARALBA has awoken from her coma and is no longer in life-threatening conditions. She continues to undergo treatment at the ICU in London, Ontario. Her parents and brother have now joined her from Albania, and they are currently with her. Her daughter Briana has been released from the hospital, and will soon start school in the USA under the supervision of her Uncle and Aunt. We thank you all again.